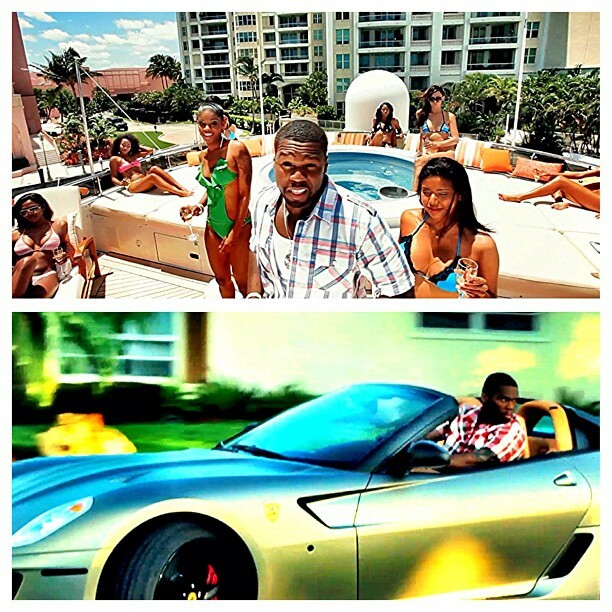 50 Cent takes it to sunny Miami for The Lost Tape‘s latest visual. The G-Unit general grabs his man Hayes, a gang of scantily-clad pieces of eye candy, a yacht and few high-priced sports cars for the “Double Up” video, directed by frequent collaborator Eif Rivera. This clip is just another example of the good life, as production team Tone Mason‘s hard-hitting track provides the soundtrack for Fif and Hayes’ luxurious lounging and high-speed hijinx. Must be nice. The Lost Tape is available for download now. Fif’s fif album 5: Murder By Numbers drops July 3rd.